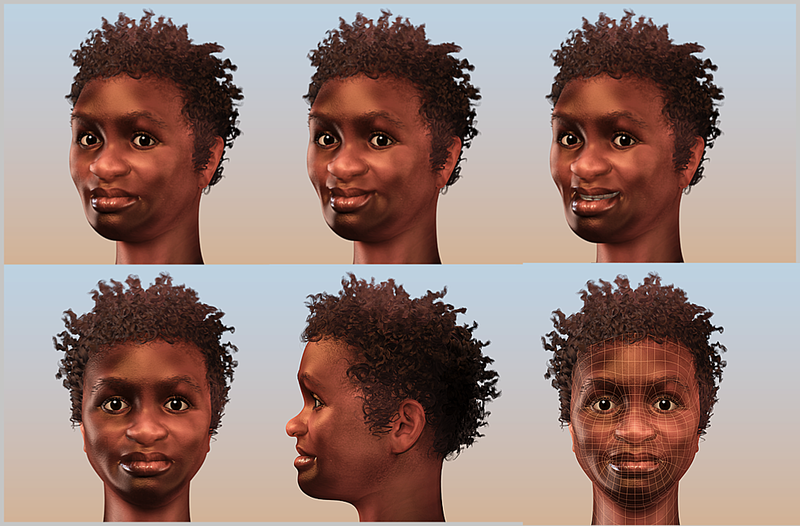 Second the Wikipedia: Luzia Woman is the name for the skeleton of a Paleo-Indian woman found in a cave in Brazil, South America. 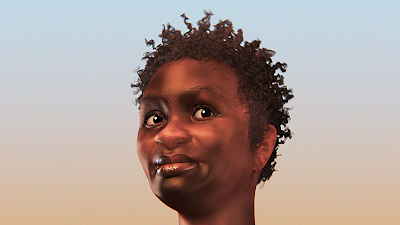 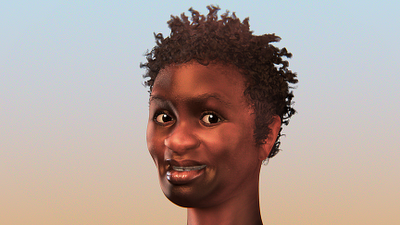 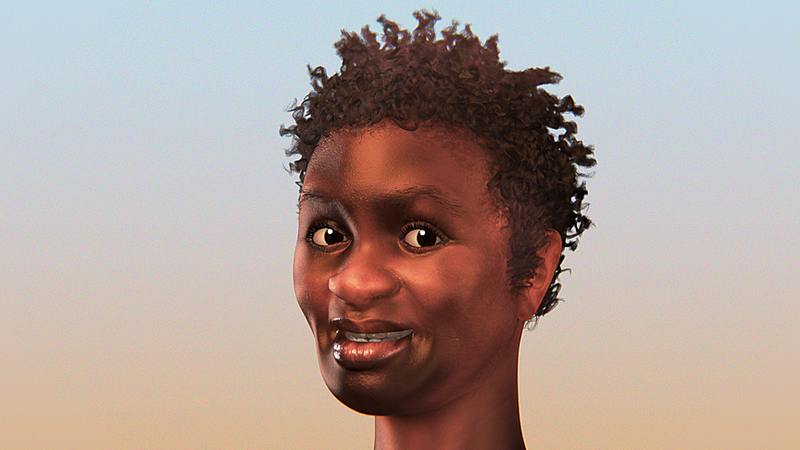 Some archaeologists believe the young woman may have been part of the first wave of immigrants to South America. 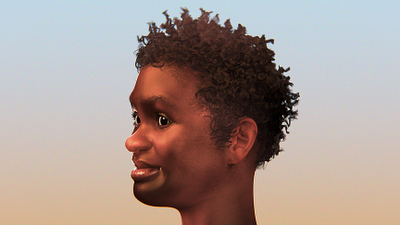 Nicknamed Luzia (her name pays homage to the famous African fossil "Lucy", who lived 3.2 million years ago), the 11,500 year-old skeleton was found in Lapa Vermelha, Brazil, in 1975 by archaeologist Annette Laming-Emperaire. It was used the classical bust for re-make the face in 3D. 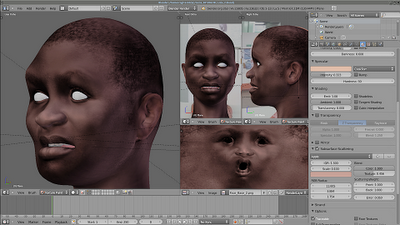 The novelty of project is that SfM was used like reference to modelling the face. 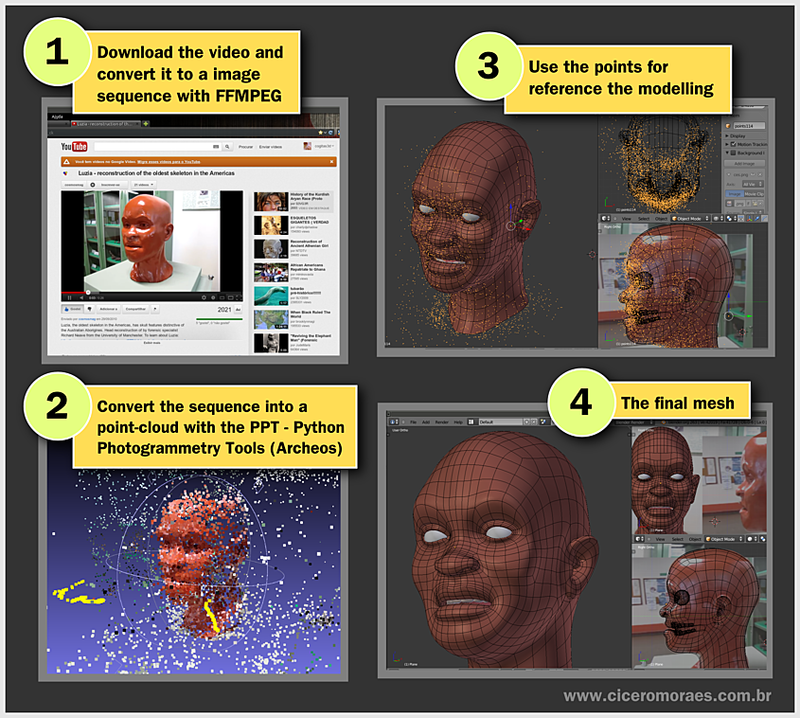 A Youtube video was choosed to be reconstructed. The image above shows the process of modelling. After the head was modelled, is the time to texture it. 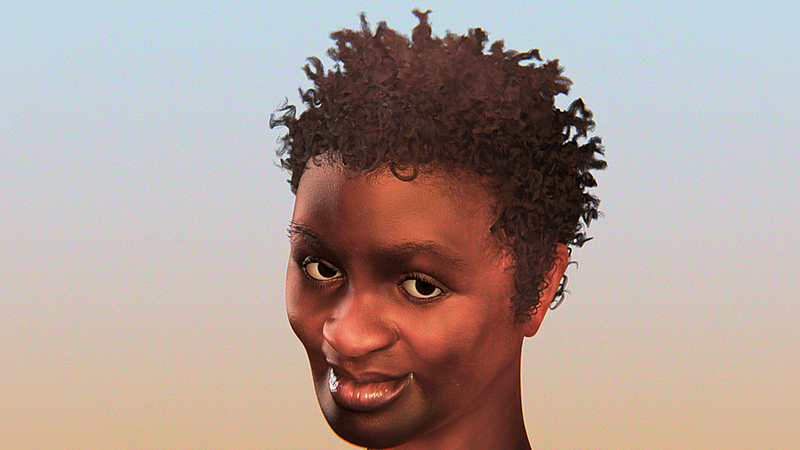 And finally render the result, with some facial expressions.